This one bedroom, one and a half bath rental house is stocked with amenities. There’s a fully equipped kitchen with stainless steal appliances, a flat screen TV and stylish sectional furniture in the living room that’s perfect for lounging, and a master bedroom with its own TV, queen size bed, walk in closet and private bath. This property also offers off street parking for one car, and you can park a second car in the garage—which houses the washer and dryer—for an additional fee. But the icing on the cake is the location, which is right in the heart of downtown Charleston on Meeting Street. Enjoy everything from historical buildings to fine dining to upscale shopping, all within a few blocks of your holiday home! 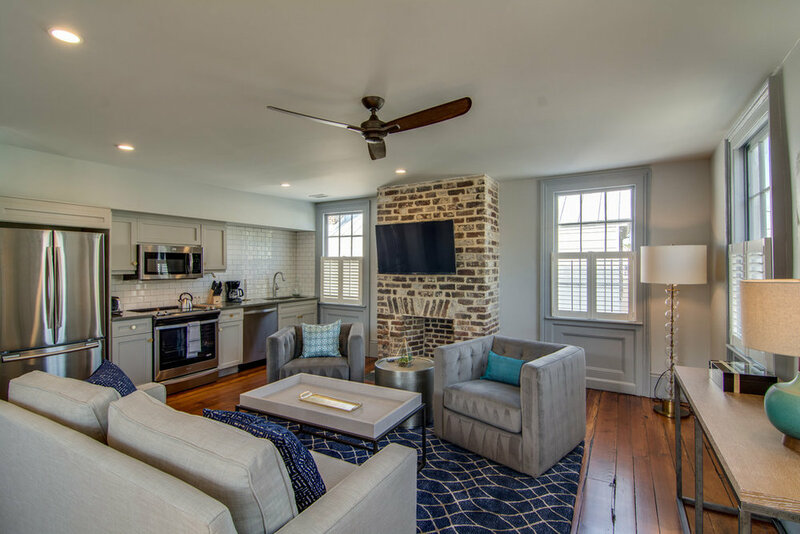 This beautiful holiday rental is located in the hip Elliotborough neighborhood in downtown Charleston. Situated on a lovely, quiet strip only two blocks from upper King Street, this cozy rental offers you the best of both worlds: peace and quiet when you want it, or quick access to the city’s best dining, shopping and nightlife. This property is perfect for a family holiday getaway, featuring two bedrooms, two baths, and a sleeper sofa in the living room that can be transformed into a third bedroom by closing the French doors. 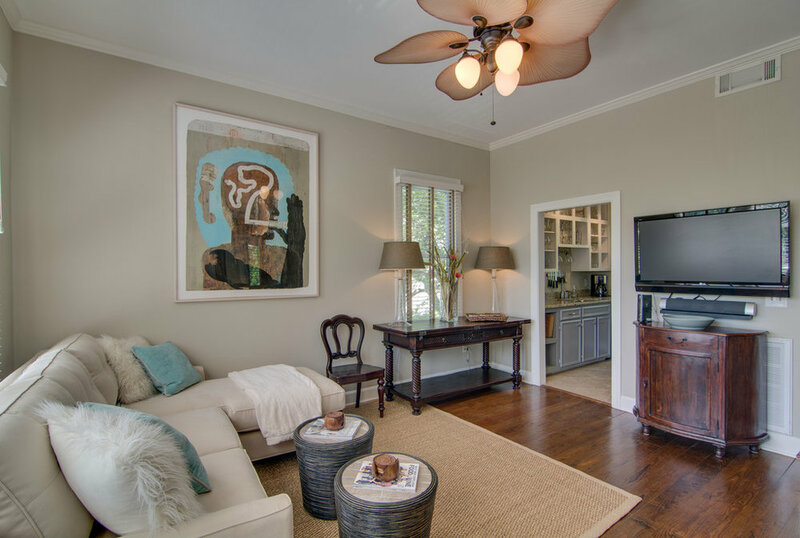 With the owners’ original artwork and beautiful hardwood floors throughout the 1,400 square foot space, this luxury rental is a stylish choice. A large dining area beside the fully equipped kitchen is perfect for feeding the whole gang, hosting a game night—or unwrapping gifts! There’s also a gorgeous tree-covered garden patio with a grill, and the house is also pet friendly. Walk up the stairs and step through the private entrance of this luxury holiday rental, and it’s easy to see why this property is the perfect retreat for the holidays. With enough space to cozily sleep two, it’s an ideal romantic getaway for the New Year. This intimate one bedroom apartment is thoughtfully decorated with a queen size bed in the living/bedroom area, a flat screen TV, a hangout nook, and French doors that open onto your very own idyllic porch with seating. 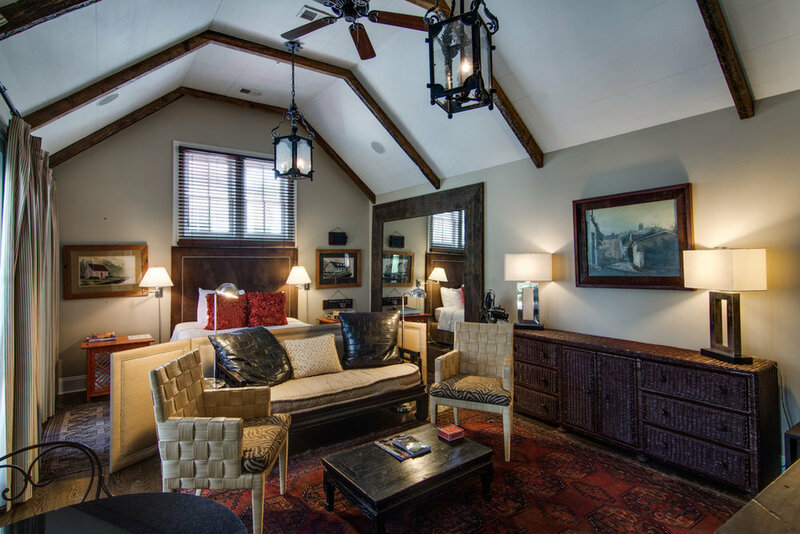 Vaulted ceilings and hardwood floors add to the ambience, making it easy to relax and spend a night in—or serve as the perfect landing spot after a night on the town. Upon entering this luxury rental, it will be obvious that this space was meticulously designed and organized with the renter in mind. The open floor plan is made for relaxing and enjoying the company of family and friends. A fully equipped kitchen sits adjacent to the living area, and every room has a flat screen TV. 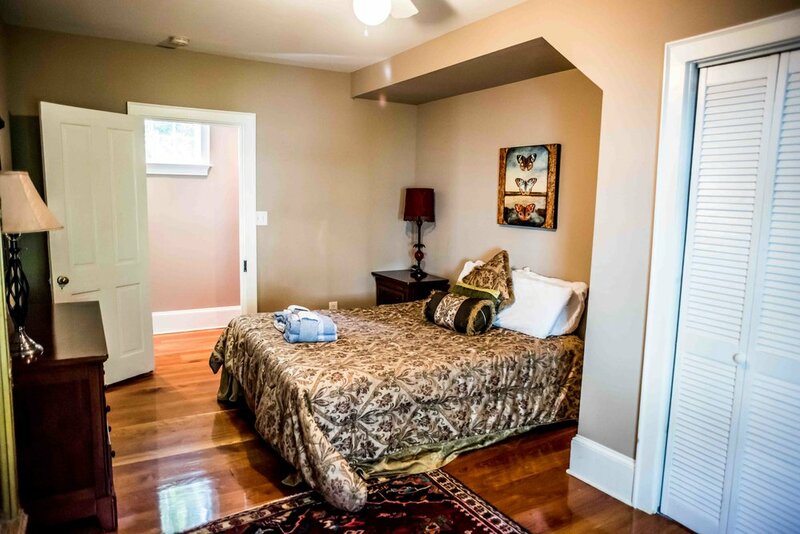 Upstairs, you’ll find a loft-style bedroom with a king size bed, and the master bathroom has a spacious stand up shower. There is complimentary Wi-Fi and off-street parking, which is great because being less than a block from bustling upper King Street, you’ll never have to move your car until it’s time to head home! 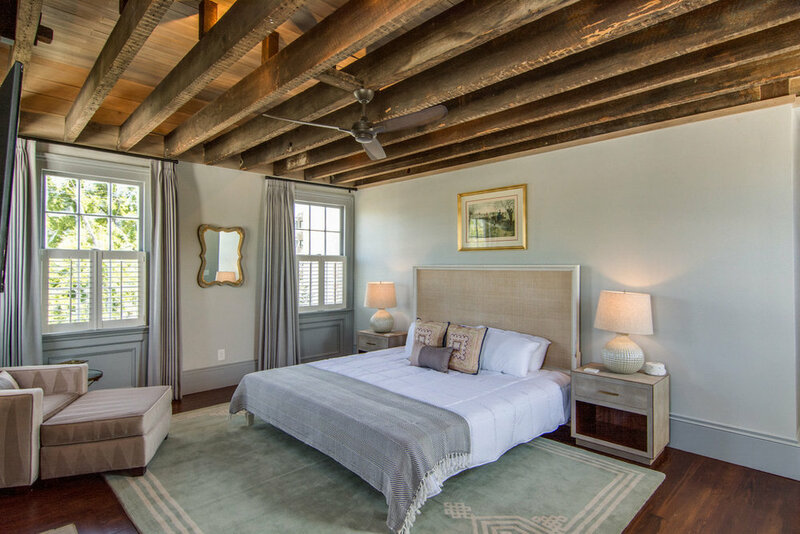 Whatever rental you choose, you can’t go wrong with the holiday rentals in Charleston, SC from Walk Away Stays. At each property, we provide the highest quality towels and linens, hotel-style toiletries, and complimentary locally roasted coffee for your enjoyment. Browse our full listing of properties and book with us today!